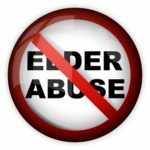 We take elder abuse seriously and want to assist in preventing it. Our Sr. VP of Franchise Development, Robert Pratt, is an active member of Maricopa Elder Abuse and Prevention Alliance, MEAPA, participating on the Financial Exploitation Committee. The senior community is under siege from the internet, phone, direct mail, and direct confrontation from individuals whether in their homes or out in the community. We at Golden Heart Senior Care are committed to preventing elder abuse. Financial Elder Abuse alone steals in excess of 24 Billion dollars from the senior community every year through foreign lottery scams, identity theft, and direct theft of property, cash and jewelry. Forms of Elder Abuse include but are not limited to financial, physical, emotional, neglect, hording, and abandonment. Sadly in many cases it is the immediate or extended family that takes advantage; or, the family lives far away and is not present to protect their loved ones. Good agencies like Adult Protective Services still have limited powers. It is up to front-line Caregivers like us to proactively protect/advocate for our valued seniors. It is imperative that those in need of a caregiver seek out a reputable company like Golden Heart Senior Care (licensed, bonded and insured), where you can be assured that all Caregivers who come into your home are drug-tested and nationally background-checked for their driving, criminal, and sexual assault records. There are agencies that are not licensed, bonded, or insured, hiring unlicensed caregivers without thorough background checks. There are also numerous independent caregivers that are not licensed or background screened. Some of these caregivers have been known to befriend the client, gain their trust, and sadly convince the client to give cash, jewelry, and more – some even steal or forge checks. Since so many of the elderly suffer from various forms of dementia these crimes often go unreported.